There is this new TV show on Bravo called “Thicker than Water”. I don’t want to say it is one of the most irritating tv shows to watch because I have only seen a few episodes but so far so irritating. As in, pull my hair out irritating. I managed to watch more than one episode out of curiosity. Like I’m tryna see if the initial episode I watched gave the wrong impression and these people are going to make me say oops my bad. 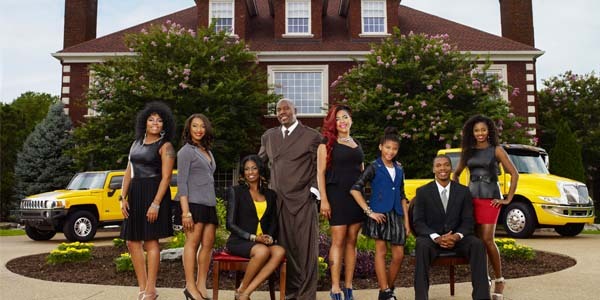 Thicker than water is pretty much a show about a rich preacher Ben Tankard, and his family living the life and when I say the life, I mean living lavishly. Don’t get me wrong, there is nothing wrong with living lavishly but I always pictured men of God as humble. These people are the exact opposite of humble. Besides having expensive cars, private jets, etc,. they seem to preach more about money than God. ok let me be fair, when they preach about money, they give God a couple of shoutouts. lol. Even when they pray, it seems like a big ol JOKE. In an episode last week, they got on their knees to pray and I could have sworn the husband wore a smirk on his face, like I couldn’t even take their prayer seriously. SMH. Don’t get me started on the wife, Jewel Tankard’s materialism, oh boy, gold diggers have nothing on this lady. All she talks about is designer this, money that, rich this, cash that. The husband according to his words believes “God is all about the Bling in heaven”, lol. Please did I miss something in the bible? 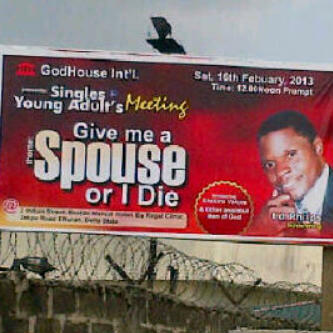 What bling is in heaven again o? Is he a joker or what? Are we at some point meant to learn some sort of values from them? At this rate, I really don’t think so. I think this show would have been easier to bear if they were touted as motivational speakers and not preachers. Let me give the wife some credit though. She has taught me that I sure as hell don’t wanna marry a man who can’t buy me, or at least promise to buy me lavish things, ie private jet tinz. FYI; I sure as hell wouldn’t be going to their type of church to connect with God. Na naa naa! Leaves me with the saying “Only God knows who is truly serving him”. There case aside, we see a lot of this same “phenomenon” yes o, its a real phenomenon, going on in today’s world with preachers being way richer than their congregation, with pastors’ wives driving six figure cars while those contributing to the church taking public transportation. It seems this is the hottest new business in town and God is the main marketing tool. 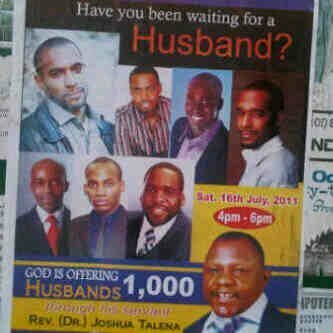 Yes we have seen the posters, you know the funny ones like “Give me a husband or I die”, “Blaze me with the fire of the fruit of the womb”, “Today I shall be rich” and and the popular My Husband/wife appear by fire lol. etc. What worries me is that these types of “whatever you wanna call them” attracts a lot of people. Many are ready to give up their hard earned cash for a solution to their problems, therefore indirectly turning themselves to bushmeat walking right into the path of the hunter. It leaves you thinking, somethings really gotta give. How long will the madness continue? I, like most of us, believe in God and the powers of prayers. I’m not confused about my spirituality at all, in fact I know where I stand spiritually but I also know that we don’t know it all. I do believe some were in fact ordained by God to pass on his message but what I don’t believe is that all preachers who claim to be men of GOD, are what they claim to be. Some are just businessmen wearing an imposters cloak. I am a firm, in fact super firm believer in speaking to God directly. Its great to gather in a congregation to praise and worship but never omit the importance of talking to God by yourself. You are his child, speak and allow him listen. In another token, I have had the privileged of meeting confirmed men of God, who can pray miracles into your life. So how do you know who is real and who isn’t? Only God knows! One thing my sense of reasoning has taught me is that, if that man of God talks about money money money more than he does about God, or he/she seems motivated by money, chances are he isn’t the real deal. Paying money for to “reach out” to God is a huge risk when you could be speaking to him directly. What is a man of God doing with a private jet? Who or what is he afraid of? What is a man of God doing spending millions on fast cars, when there are millions starving out there? Do these men/women of God have other businesses that fund all these luxuries? or is it “church” money? Hey, don’t get me wrong, if they are spending their hard earned money on these luxuries then its all good. But, if they are spending church money on luxury items, on vanity, therein lies a big problem. This is stupidity beyond any reasoning. 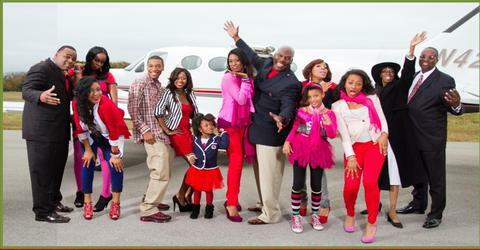 Why has reality TV become an outlet for Pastors and their wealth? Nothing is ever good about reality tv and nothing is good about this new trend. 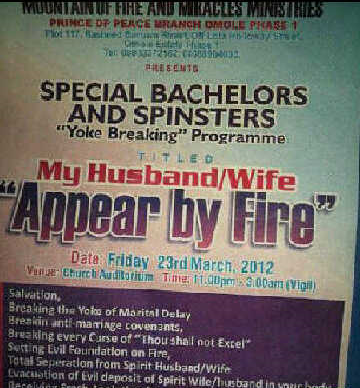 This so called men of God disgust me.